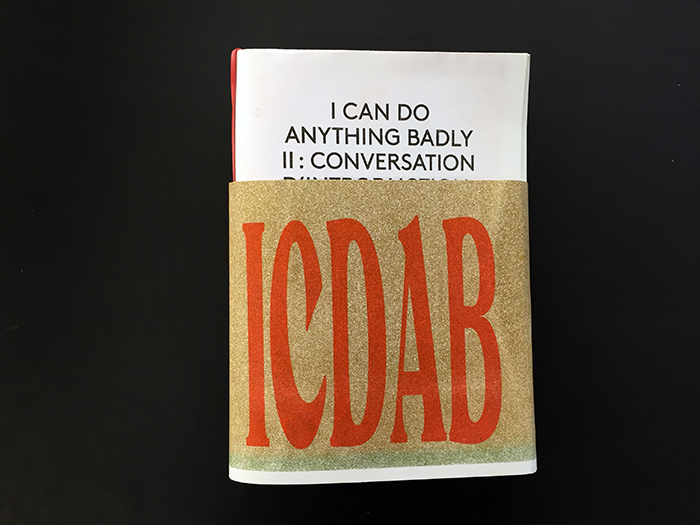 I CAN DO ANYTHING BADLY VOLUME II is an editorial project consisting of interviews, which focuses on the concepts of Do It Yourself as modes of production, as current economic models of macro-production, macro-diffusion, knowledge transfer in web 2.0 and as a legacy of punk adventure. - A conversation between Hoël Duret, Frédéric Teschner & The Big Conversation Space (Clémence de Montgolfier & Niki Korth). 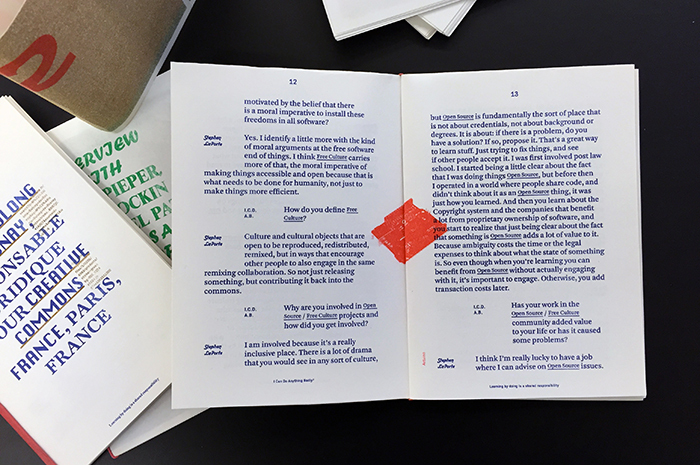 - An interview with Tiff Hockin, Ariel Pate, and Troy Pieper, founders and publishers of Art Review and Preview (ARP! 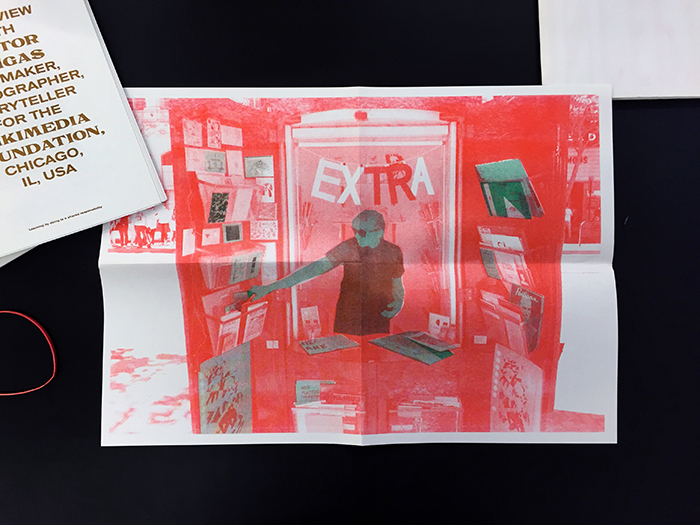 ), an independent art newspaper published in Minneapolis, USA, from 2007 to 2010 in 11 numbers and a book. 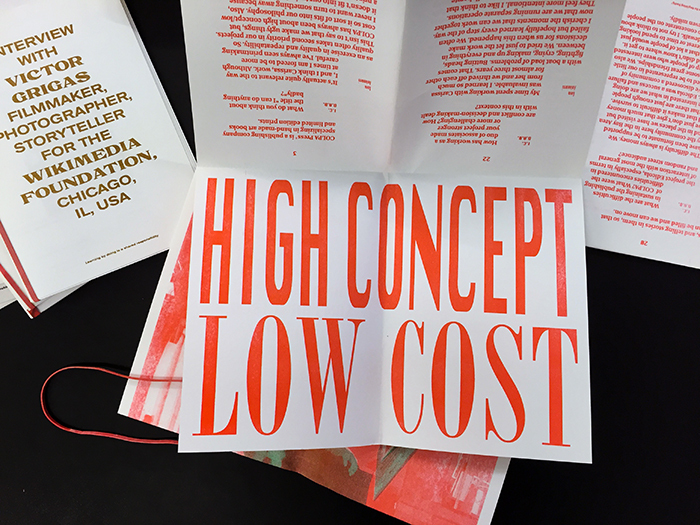 - An interview with Luca Antonucci and Carissa Potter, founders of COLPA Press, publishing house based in San Francisco, USA, specialized in handmade artists' books in limited editions. - An interview with Melanie Dulong de Rosnay, legal officer for Creative Commons, an organization offering a legal alternative to those wishing to release their works of intellectual property. 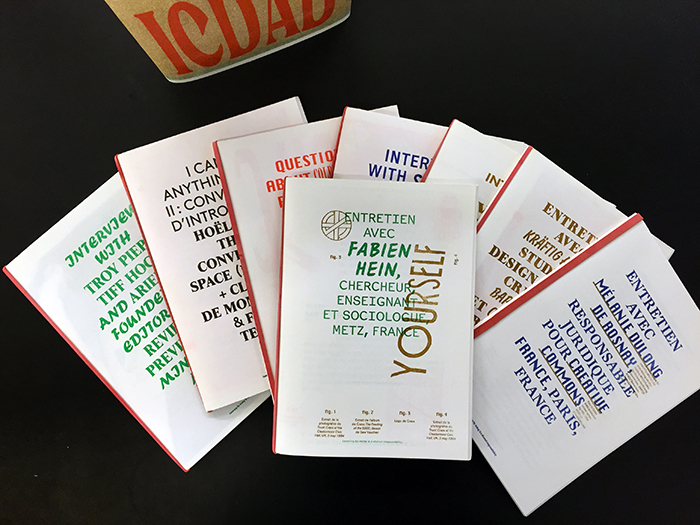 - An interview with Fabien Hein, researcher, teacher and sociologist at the University of Lorraine, also author of « Do It Yourself! Self-determination and cultural punk », 2012 (Paris : Le Passager). - An interview with Kräftig Atelier, objects design studio created by Baptiste Mahé and Clément Hayer in Ivry-sur-Seine, France. - An interview with Stephen LaPorte, programmer and advocate for the Wikimedia Foundation (non-profit foundation purpose of initiating Wikipedia) . - An interview with Victor Grigas, videographer, photographer and columnist for the Wikimedia Foundation (non-profit foundation initiator purpose of Wikipedia). 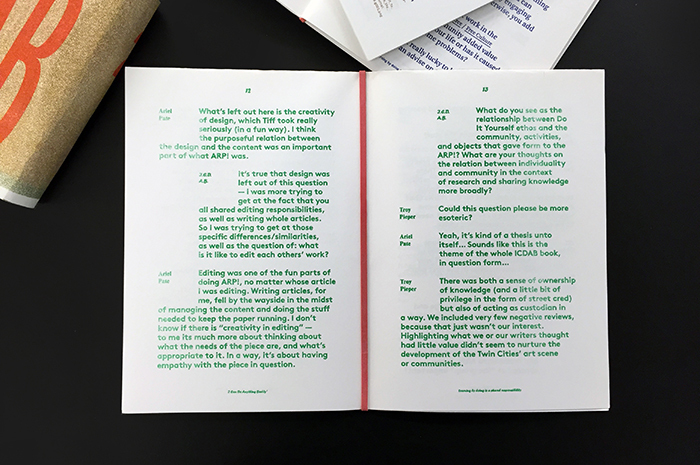 For this issue the graphic design is signed by Frédéric Teschner and the contents are conceived by the artist duo The Big Conversation Space (Clémence de Montgolfier & Niki Korth) and Hoël Duret.